WHAT CAUSES SMOTHERING IN COMMERCIAL FREE-RANGE LAYING HENS? There are limited overseas reports on the incidence of smothering in free-range laying flocks which suggest that smothering may account for a substantial proportion of overall mortality. While a wide range of potential variables have been implicated, there have been few systematic studies on smothering because outbreaks are sporadic and unpredictable and detection is normally after the incident. Anecdotal reports in the Australian free-range industry suggest that up to 30-40% of mortality of adult birds may be due to smothering. An understanding of the relationships between environmental characteristics and flock characteristics (e.g. such as physical conditions and behavioural characteristics such as fear and exploration during rearing and in adulthood) and smothering events is likely to lead to benefits for both hen welfare and farm productivity. Working with collaborators from the University of New England (UNE), this project is funded by Australian Eggs Limited and will conclude in 2021. Investigators: Paul Hemsworth, Andrew Fisher, Mark Stevenson and Peta Taylor (UNE). For further details, please contact Paul Hemsworth. This project, funded by Australian Eggs Limited is working with a panel of experts in animal welfare science, veterinary science and social science to identify and describe values based elements that arise in the context of the available frameworks for animal welfare, allowing for rational assessment and productive engagement on hen welfare issues. Working with collaborators from the University of Adelaide (UA), the University of Western Australia (UWA) and a private consultant, this project will conclude in 2019. Investigators: Andrew Fisher, Paul Hemsworth, Rachel Ankeny (UA), Heather Bray (UWA) and Hugh Millar. For further details, please contact Andrew Fisher. 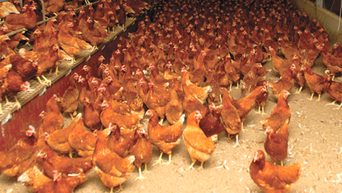 This project will conduct a review of the scientific literature of laying hen welfare with an emphasis on the relevance of the literature in relation to Australian conditions since this review will be used to inform current welfare discussions and future investment in welfare research and development by Australian Eggs Limited. This review will focus on the main housing, management (at both the farm and stockperson levels) and husbandry practices that have implications for hen welfare. This Australian Eggs Limited funded project will conclude in 2019 and will involve major collaboration from prominent Australian poultry researchers and veterinarians. Investigators: Paul Hemsworth, Andrew Fisher, Ellen Jongman, Lauren Edwards and Amir Noormohammadi. For further details, please contact Ellen Jongman.